Building on the legacy of Whey Protein 360, our fastest selling protein shake of all time, new Whey Protein 360 Extreme elevates your protein shake experience to a whole new level, and then some. Carrying forward all the cutting-edge innovations from our legendary #1 best seller, we created this trail-blazing Extreme formulation to be the gold standard of protein shakes. This unique shake sets new standards in nutrition, flavour, taste & texture - we confidently challenge you to find a better shake! Made with a multi-phased protein system sourced from premium grade protein, Whey Protein 360 Extreme also includes Digezyme® to aid digestion and macronutrient absorption. On top of this, we've included Glutamine, HMB and even a cutting-edge Vitamin & Mineral Blend to help support your all round wellbeing. This shake serves up the following: high premium grade protein, low sugar, gluten free, and vegetarian friendly. Drop the mic! What Is Whey Protein 360 Extreme. Every now and then, an innovation becomes a global game-changer - the wheel, electricity and penicillin to name just a few. Back in 2017, when we unleashed Whey Protein 360 on the sports nutrition industry, the protein shake revolution began. 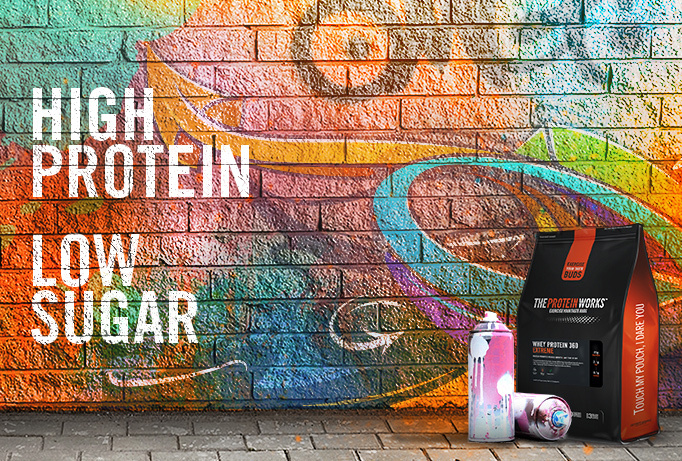 The TPW™ Tribe and beyond discovered the insane flavours we had worked years to produce, the best tasting protein shake had landed. The bar had been raised. The competition scrambled to follow and guess what, whilst they're still on the phone, we're moving the goal posts again. We've taken all the flavour know-how, wizardry and expertise that was packed inside our #1 best seller and added even more cutting-edge innovations to create a protein shake that is nutritionally unrivalled, dialing up the performance, without sacrificing an ounce of that lip-smacking flavour. .
We've taken all the flavour know-how, wizardry and expertise that was packed inside our #1 best seller and added even more cutting-edge innovations to create a protein shake that is nutritionally unrivalled, dialing up the performance, without sacrificing an ounce of that lip-smacking flavour. So, to the science. Let’s start with the Protein Blend, made from a selection of our finest proteins, including whey protein concentrate and whey protein isolate. It delivers not only a perfectly optimized release of slow and fast acting proteins but also a complete amino acid profile to ensure your muscles get all the fuel and building blocks you need to repair and grow muscle. But we’re not done there, HMB and Glutamine were further additions to take this shake to the next level. 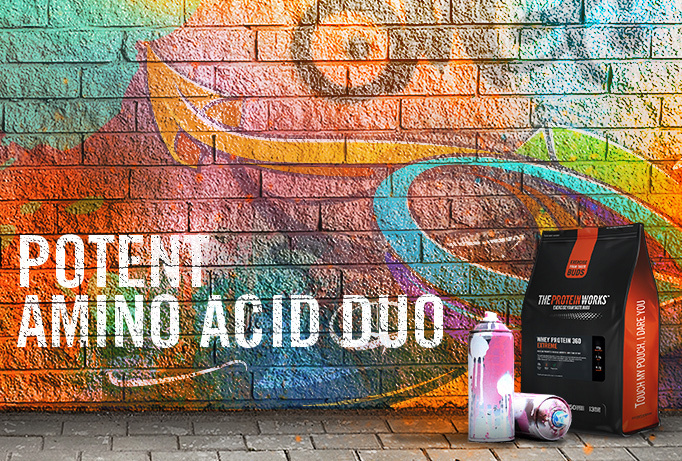 Both of these work synergistically with a complete spectrum of amino acids help retain some of that hard earned muscle mass. With our protein all wrapped up and delivered to your muscles when you need it, it meant we could nail down the sugar and fat content to miniscule levels. This results in is a shake that delivers just 2.1g of fat per serving and less than 1 gram of sugar. And for our final act of magic, we’ve added our trademark Vitamin & Mineral Blend in to each serving. This provides essential vitamins such as Vitamin B12, Vitamin D3, Riboflavin, Calcium and many more to help fight fatigue and maintain your levels of cognitive function.. 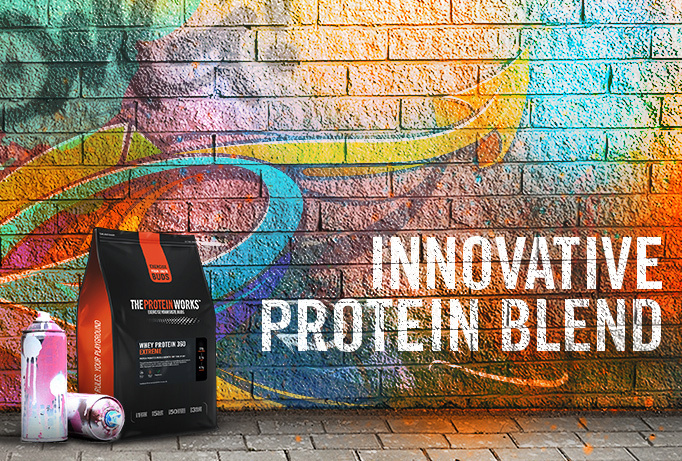 INNOVATIVE PROTEIN BLEND – Made from a unique protein multi-phased formulation including our very finest whey protein isolate and whey protein concentrate. It is high in protein and offers a complete amino acid profile to ensure your muscles have all the fuel they need to repair and grow. Combine this with our cutting-edge muscle building additions and this protein formula is exceptional, delivering the perfect balance of slow and fast release proteins to ensure you reach your muscle building potential. GLUTAMINE – As the most abundant amino acid in the body, glutamine has a number of metabolic functions including its role in maintaining a healthy gut. For this reason when levels of glutamine in the blood become low, the conditionally essential amino acid must be extracted from muscle mass. By Supplementing with Glutamine, you raise the natural level of Glutamine within the blood stream and ensure any effect from muscle tissue loss is minimal. VITAMIN BLEND – Our Vitamin & Mineral Blend consists of a whole host of essential vitamins your body needs. From Vitamin D3, B12 to Calcium and Ascorbic Acid. All these work to reduce the negative effects strenuous workouts can have on your nervous system, immune and gut function which is why it was a no brainer to include in our Whey Protein 360 Extreme. With all this science packed in, you might think we’d let the flavour level dip, not a chance. 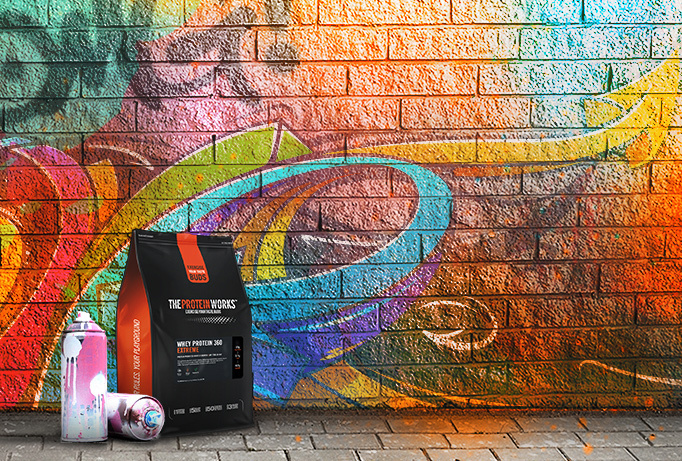 Whey Protein 360 Extreme packs that insane level of flavour you come to expect from a TPW™ Shake. Our team of taste bud gurus at the TPW Flavoury™ break boundaries for breakfast. Continually testing, tweaking and innovating flavour using our FLAVOUR BOOST™ tech to ensure that each and every iteration of our flavours, whether it be French Vanilla, Chocolate Silk, Strawberries ‘n’ Cream or Banana Milkshake, we know for sure that it’s going to be the best damn protein shake you’ve ever tasted.